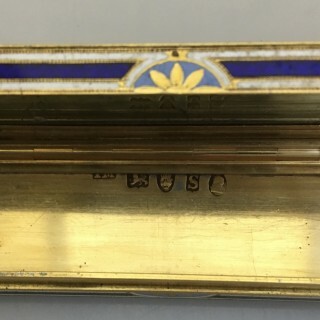 A diamond, blue guilloche enamel and 22ct gold patch box with painted miniatures of cherubs. London 1793. A diamond, enamel and 22ct gold patch box with painted miniatures, London 1793.